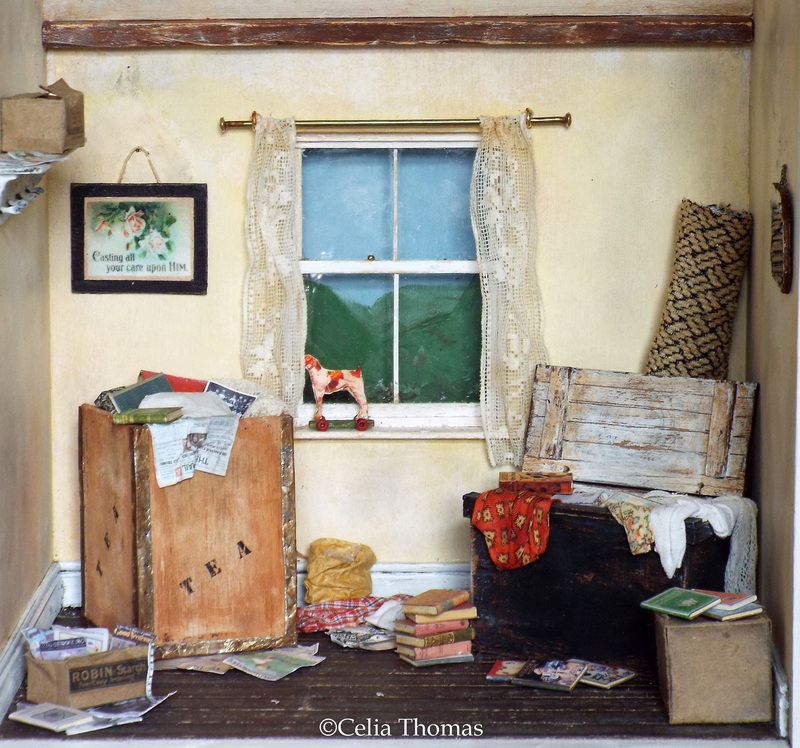 Indulge your creativity within the world of miniatures and create a stunning 1/12th scale attic room scene. Using a variety of techniques and materials, learn how to create this unique room setting plus contents, all with a hint of age and realism. Versatile enough that once completed can sit on a shelf or hang on a wall. Something to treasure forever. Various decorating options to choose from, including aging techniques with paint. Create walls, ceiling and floorboards using cardboard. Paint a scene through a window, build a sash window from scratch, make a curtain pole out of an old clothes hanger to hang antique lace curtains from. Learn how to mitre joint wooden skirting boards using saw and mitre block. Construct a wooden chest with opening lid and fill as you wish using material scraps, miniature ephemera, etc. Make a wooden tea chest and a 1930s style shaped mirror on a chain. Create a shelf with hooks, make books using different methods and lots more! Suitable for beginners and experienced crafters.